Choose from a variety of activities that provide exercise, socialization, or one-on-one play time. Research from the pet industry clearly demonstrates the more activity and human interaction pets receive, the happier and healthier they are — especially when away from home. We have discounted activity packages or you can customize your dog's resort itinerary. 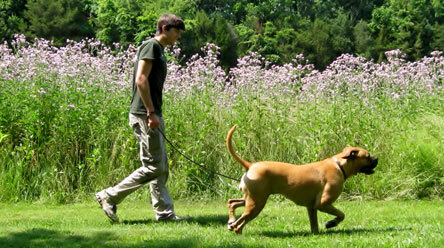 Speak with a Reservation Specialist to select the best activities for your dog's health and happiness. My husband and I never leave our dog Danny. Recently we had to go away for the weekend so we boarded him at Holiday House thanks to a recommendation. He got special attention like soft bedding, special meals, extra walks, extra play group time, a special tuck in and grooming. Danny enjoyed all the attention. Thank you for a safe, clean and fun place! 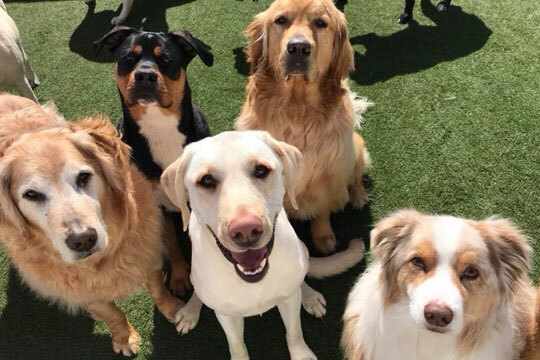 If your social dog loves playing with other dogs, then our daycare programs or supervised group play sessions are a great way to make new friends and play. If your dog is not currently a daycare student, request a daycare evaluation. 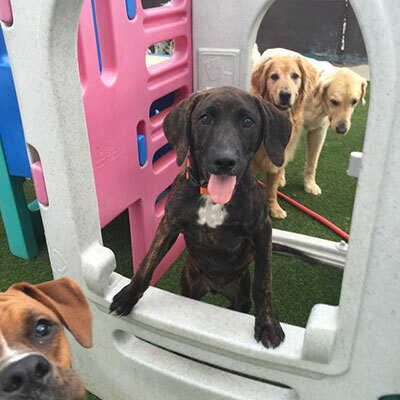 For guests not enrolled in a daycare program, our play groups are designed for dogs of similar size and energy. It’s important to keep all our guests healthy and safe, so dogs must be neutered/spayed, have all required vaccinations, and free from signs or symptoms of sickness or disease to participate in group play or daycare while lodging. An extended walk at a brisk pace, wonderful for active dogs that enjoy a longer hike. Nature walks are also perfect for dogs that have been put on a veterinarian-recommended exercise program to promote a healthy weight, increased cardio stamina or improved muscle tone and strength. Perfect stroll for a little exercise and to find just the right grassy spot for a refreshed feeling. Business walks can be scheduled for times when your dog is used to getting outside with you. Private play sessions provide personal attention customized with a variety of toys and activities at a level of exercise that your dog enjoys most. If your dog is crazy about cuddling, then snuggle time is the perfect quiet interaction. What could be better than curling up on a cozy lap or getting showered with hugs and kisses? Gentle touch along tired muscles to feel rejuvenated. The comfort of resting on a plush mat with warm hands calmly petting the body, giving a belly rub or scratching behind the ears are simply luxurious. Doylestown Veterinary Hospital also offers acupuncture, chiropractic care, and cold laser therapy sessions to help improve circulation and mobility for dogs experiencing stiffness along the back or in the legs due to arthritis or as part of a veterinarian-recommended physical therapy program. A bedtime story is a relaxing way to end an active day. Stories have included the adventures of Clifford the Big Red Dog and Curious George to settle into a restful night filled with sweet dreams. 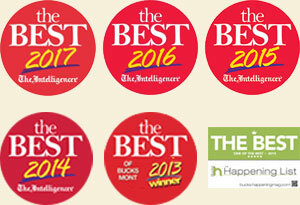 Our gourmet treats are scrumptious and specially-prepared, seasonal tastes. Some puppies may be good candidates for our Puppy Plus activity package upgrade, which includes the same activities as Puppy Play as well as special attention with a trainer. On-site veterinary care at Doylestown Veterinary Hospital provides a level of comfort knowing medical attention is available if needed for our dog boarding guests.